The use of increasingly sophisticated embedded sensors in everything from smartphones and vehicles to buildings means that we expect even more on-demand connectivity and access to information and control. But real-time monitoring can’t be achieved simply by investing in more IT or implementing new policies and procedures. iMatriz helps your organization resolve business problems that require real-time tracking of the location and real time status of their extended resources: people, assets, machines and infrastructure. IMatriz solution provides enterprise visualization by using real-time status, condition, context and association of objects in a digital globe. 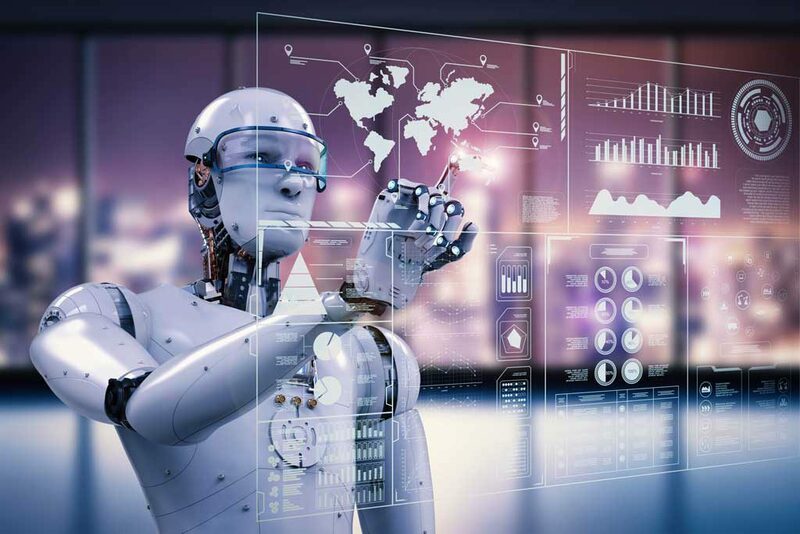 Robotics Process Automation (RPA) is at the forefront of human-computer technology and provides players in the industry with a virtual workforce that is ruled based and is set up to connect with your company’s systems in the same way as your existing users. With robotics, you automate and build an automation platform for you front office, back office and support functions. RPA is machine and software automation that frees humans by mimicking human activity in manual, tedious, repetitive, rules-based transactions, processes and workflows, initiating responses and communicating with digital systems. Robotic Process Automation reduces manual processes, saves time and money. RPA is an emerging automation technology that manages, executes and monitors any repetitive front-office and back-office processes that do not require human judgment, allowing employees to focus on the more sophisticated tasks. In other words, RPA software allows developers to tailor complex automations to a company’s processes. When an RPA robot is at work, it performs tasks just like a human activity like logging in, operating applications, entering data, performing complex calculations and logging out. This is a cutting-edge digital solution that will capturing and interpreting existing applications for processing a transaction, include data entry, data verification, copying and pasting of data, data conversions, selection, interfacing between several applications, reports generation, triggering responses and communicating with other digital systems. iMatriz will provide you with perfect Robotic Process Automation (RPA) that aims at automating and integrating data with manual activities. RPA is used across diverse industries such as Manufacturing, Trading, insurance, banking, Finance and logistics.